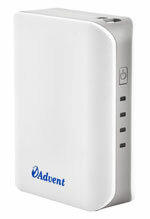 AskMeBazaar is offering Advent E200i Portable Charger at just Rs. 778 while the actual worth of this power bank is Rs. 1799 but using coupon code + make the payment via MobiKwik wallet you can get this power bank at just Rs. 778. To get this power bank at this price, please follow the below mentioned some simple steps.